Præg på din Moleskine bog? Stelling Papir & Penne er efterfølgeren til den første og ældste papirhandel i København, og holder til i lokalerne på Nikolaj Plads. For at foretage et køb på notesbog.nu skal du igennem 5 trin. Når du handler med notesbog.nu indgås aftaler på dansk. Hvis du ønsker at modtage en kopi af din ordrebekræftelse kan du logge ind på siden eller sende den mail til info@stelling.dk. Stelling Papri & Penne, is the sequel to the first and oldest office supply in Copenhagen. I. Chr Petersen, we live in the same premises at Nicholas Square as our ancestors did for over 160 years ago. The house at Nicholas Square belonged originally Johan Christian Petersen and was founded in 1845. The building is called "vault" .. There are many people who know our old shop "I.Chr. Petersen," which is now called the Dtelling Paper & Pen. Imagine now, there have been sales of Office Supplies in this shop for over 160 years. What an honor and what a story. Imagine being a fly on the wall, just 100 years ago, and there sat a box in the middle of the store in a træbur and with the most beautiful cursive writing, wrote bills to people. 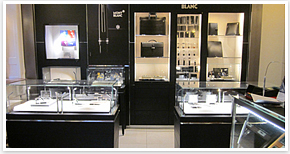 Come visit our store, we serve you and your business the best way. Montblanc: Fill your MontBlanc pen up www.refills.dk. 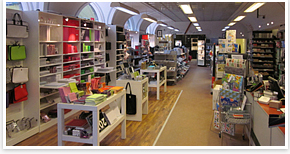 We are the largest and most well-stocked pens depot in Denmark. We have in our business by Nicholas Square. We can produce cartridges for virtually every need and we can repair your old pen. 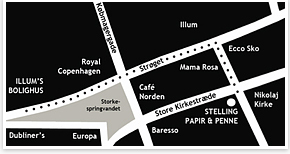 Visit us in one of Copenhagen's oldest and most beautiful stores. There are many people who know the old shop I. Chr. Petersen. Imagine now, there have been sales of Office Supplies in this store for 160 years. what an honor and what a story. Fill your MontBlanc pen up www.refills.dk. We are the largest and most well-stocked pens depot in Denmark. We have in our business by Nicholas Square. We can produce cartridges for virtually every need and we can repair your old pen. Visit us in one of Copenhagen's oldest and most beautiful stores. 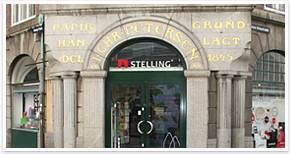 Stelling Paper & Pen acted with office supplies for over 160 years and knows what is best for you and your business. Stelling has it all, from Mont Blanc pens to printer paper. We take care of business gift or your anniversary. In short, we are your complete supplier for all office and write articles for your company. Opskriv dig her og modtag vores eksklusive tilbud! © Copyright 2018 Notesbog.nu Alle rettigheder forbeholdt.